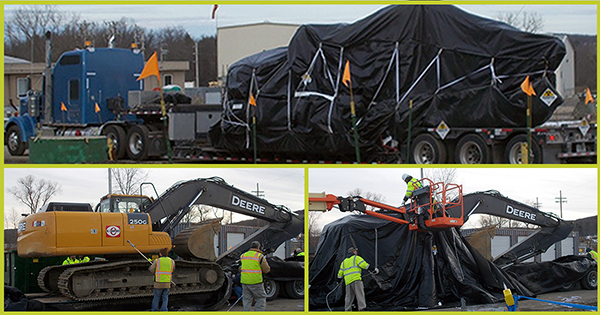 In a recent cost-saving effort among 2 large Environmental Management sites to share resources, PacTec NucPacs were utilized to safely transport equipment over 300 miles while eliminating any potential risk of contamination to the environment. 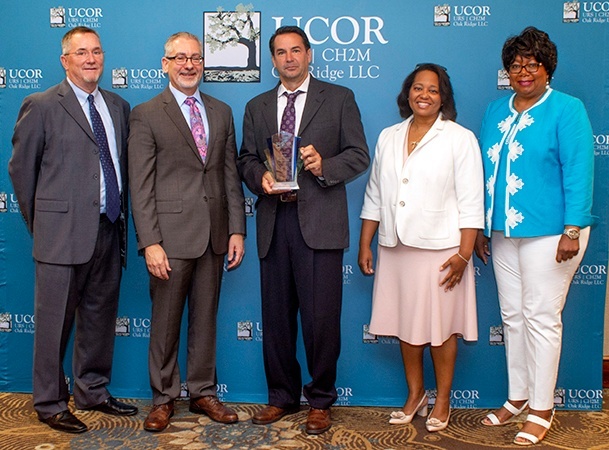 The equipment was securely overpacked in custom-manufactured NucPacs to aide in their risk reduction and cost savings initiatives. 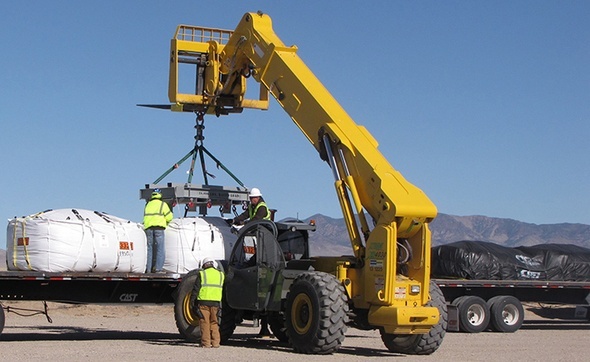 Plutonium Finishing Plant workers conduct full-scale dress rehearsals, or mockups, to train on enhanced safety controls and work procedures before demolition resumes. 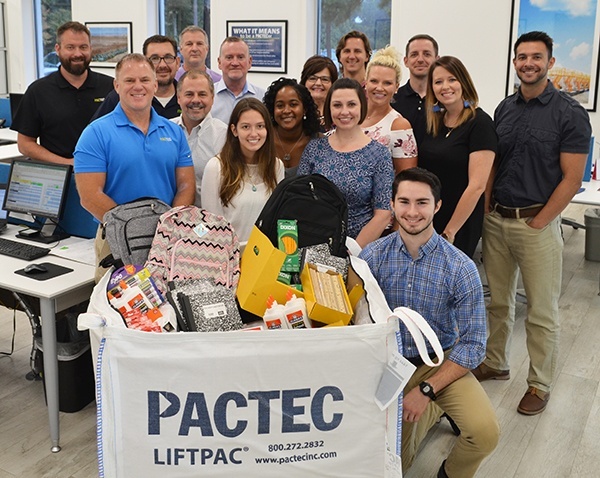 With school beginning just weeks away, employees of PacTec, Inc. of Clinton, LA continued their annual charitable fundraising efforts for 2018 by holding a school supply drive for school age children in East Feliciana parish. Their goal was to “Pack the Bag” – filling one of their cubic yard waste packaging bags with items from local school supply lists. Together, their nearly 100 Clinton based employees reached their goal, collecting over $1,000 in supplies to donate to the East Feliciana School Board. 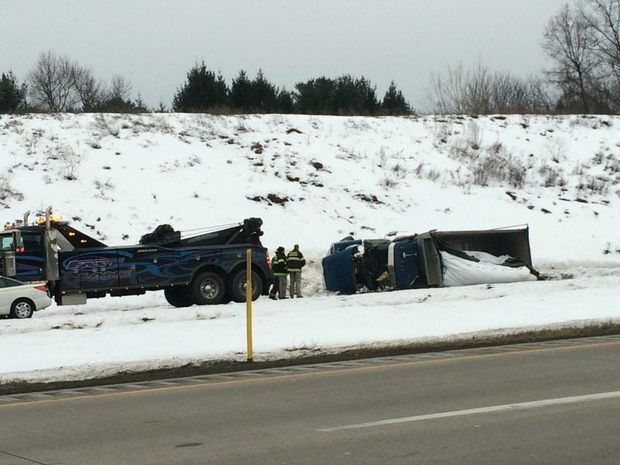 Nothing conjures up fear for waste transporters like an overturned load and the fallout from an investigation. This nightmare has unfortunately played out all too often on our nation's highways, but we know that liability can be properly mitigated by utilizing the proper packaging solutions. Accelerator long tail beta stealth deployment termsheet stock business-to-business supply chain buzz. Innovator interaction design infographic stock startup accelerator analytics product management.